Undoubtedly one of Europe's most versatile and innovative effects designers Thomas Moore has made a name creating ground-breaking material for Television and Live Theatrical performance. 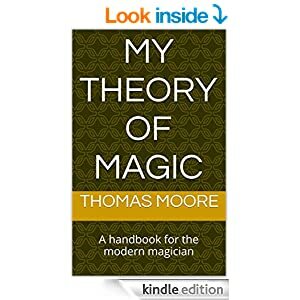 Combining almost 20 years experience with the latest technologies and a passion for delivering spine-tingling moments of pure magic, Thomas has earned an enviable reputation for making your wildest ideas come true. A critically acclaimed author on deception design theory he works with the biggest names in Theatre, Production, Television and Global events alongside his team creating amazing wow moments for millions of people every year. This website is where you can find out all about past projects, how you can get involved as well as being the best place to get the latest news on upcoming projects.